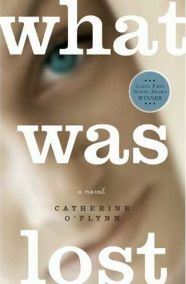 ‘What was Lost’ by Catherine O’Flynn is an interesting but unusual novel. It was the sort of book that was very easy to read but I couldn’t work out exactly where it was going and how all the different pieces fitted together until the very end. At that point I realised that I had enjoyed it very much and felt that it had been an immensely satisfying and moving book. ‘What was Lost’ could be described as a twenty-first century mystery, set in a large and somewhat impersonal shopping centre where a small girl went missing twenty years before. That little girl was Kate Meaney who led quite a sad existence. Her mother had walked out when she was a baby and her father had died suddenly. She was looked after by her grandmother but had few friends, except for Adrian who worked in the sweet shop and was much older. Therefore she took to visiting the newly built Green Oaks shopping centre most days and assuming the guise of a junior detective, with notebook in hand and her stuffed toy monkey for backup. The story then moves forward twenty years to 2003 where we still find ourselves in the same shopping centre. Kurt works as a security guard and Lisa is the assistant manager in a music store. Both keep seeing things that bring back memories of Kate’s disappearance all those years ago and because of this. They are drawn to each other. Also both are deeply unhappy with their lives and visiting the past does not make either of them feel any better. Gradually, they start to piece together what had happened but it is probably too late to change things. I was drawn to this book mainly due to the intriguing title – ‘What was Lost’. It had me asking questions before I started reading, and as the book was written in such an intriguing way, I continually wanted to ask more all the way through. What is so good is that as a reader you have no idea where the book is going and that can be quite surprising. The shopping centre made an ideal setting and was very acutely described as the nameless faceless place that it was and was also indicative of the consumer society that tends to dominate these days. There are also some interesting additions at the end of each chapter describing the behaviour of some of the nameless people who frequent Green Oaks. All of the main characters are very interesting although I don’t think that the reader really gets to know them very well. They are described with a sense of detachment which I think is quite clever as it is reflective of their outlooks on their own lives. The characters that feature in this story are the kinds that are a little bit different and don’t really fit in. This comes across very well because of the way the story is told and is extremely effective. There is almost a surreal quality to the book, a little reminiscent of the ghosts that might or might not wander around the shopping centre when it is empty! ‘What was Lost’ is a good book but also quite a sad one as it tends to highlight all that is not so good about living in a modern society whilst interweaving it all with a good old-fashioned mystery. One Comment on "What was Lost"